Sec. 2 THE REGISTERED OFFICE SHALL BE LOCATED AT COMPANY CREEK ROAD, STEHEKIN, CHELAN COUNTY, WASHINGTON WITH POST OFFICE MAILING ADDRESS BOX 1, STEHEKIN, WASHINGTON 98852. THE REGISTERED AGENT SHALL BE IRENE COURTNEY, COMPANY CREEK ROAD, STEHEKIN, WASHINGTON 98852. Sec. 1 THIS CORPORATION SHALL BE A DOMESTIC NON-PROFIT AND TAX EXEMPT ORGANIZATION, CONDUCTING BUSINESS AND OPERATIONS IN THE STATE OF WASHINGTON AND ELSEWHERE AS MAY BE PERMITTED BY LAW. Sec. 2 TO ACQUIRE FUNDING BY COMMITTEE SOLICITATIONS, BY PROMOTIONAL MAILINGS TO COLLECT MONEY OR PROPERTY OF VALUE DONATED FROM PRIVATE SOURCES, TO TRADE OR SELL PROPERTIES DONATED TO OBTAIN MONIES TO CARRY ON THE MISSION OF THE CORPORATION. 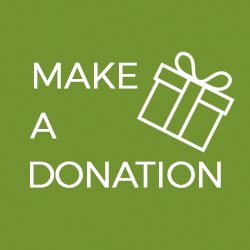 TO PAY OPERATING, CLERICAL, ADMINISTRATION, AND LEGAL EXPENSES TO FUND CHARITABLE, EDUCATIONAL, PROMOTIONAL, LITIGATION, AND DEFENSE EXPENSES AS ASSIGNED AND APPROVED BY THE BOARD OF DIRECTORS. Sec. 3 TO IN GENERAL, CARRY ON THE BUSINESS AND OPERATIONS IN CONNECTION WITH THE ARTICLES OF INCORPORATION AND TO HAVE AND TO EXERCISE ALL THE RIGHTS AND POWERS CONFERRED BY THE LAWS OF THE STATE OF WASHINGTON UPON NON-PROFIT CORPORATIONS THAT ARE FORMED UNDER THE SAID ACT OF THE STATE, AND TO DO ANY AND ALL THINGS HERE-IN SET FORTH TO THE EXTENT THAT NATURAL PERSONS MIGHT OR COULD DO. Sec. 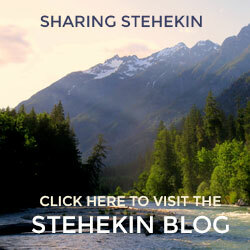 4 THE MISSION OF THE CORPORATION SHALL BE DELEGATED BY THE BOARD OF DIRECTORS AND SHALL BE IN THE DEFENSE OF THE HERITAGE OF THE PEOPLE OF THE STEHEKIN VALLEY, A UNIQUE AREA, LOCATED IN CHELAN COUNTY, WASHINGTON AT THE HEADWATERS OF LAKE CHELAN. THE CONGRESS OF THE UNITED STATES CREATED IN OCTOBER 1968 THE LAKE CHELAN NATIONAL RECREATION AREA, AN AREA UNDER THE ADMINISTRATION OF THE NATIONAL PARK SERVICE, U.S. DEPARTMENT OF INTERIOR, IN WHICH THE PRIVATELY OWNED SECTION OF THE VALLEY OF STEHEKIN IS NOW SITUATED, BY PUBLIC LAW 90-544. Sec. 5 FURTHER, THE MISSION OF THE CORPORATION SHALL PROTECT AND SUPPORT THE HERITAGE RIGHTS OF PRIVATE LAND AND HOMESITE OWNERS, OF THE CITIZENS RIGHT TO PURSUE BUSINESS ENTERPRISES, OF RIGHT TO EARN A LIVELYHOOD. ALSO TO PROTECT AND GIVE FUNDS TO THE ACTIVITIES TO COMBAT COMMUNITY DETERIORATION, TO THE DEFENSE OF HUMAN RIGHTS, TO EDUCATIONAL SUPPORT, TO LITIGATATIONS SUPPORT, TO SUPPORT AND EXPAND PUBLIC RECREATION, TO SUPPORT CHARITABLE PROGRAMS AND TO SUSTAIN ALL FREEDOMS GRANTED BY THE CONSTITUTION OF THE UNITED STATES OF AMERICA, AND ALL THE RIGHTS UNDER LAW GRANTED BY THE STATE OF WASHINGTON AND CHELAN COUNTY. Sec. 6 SUCH HERE-IN DESCRIBED FINANCIAL SUPPORT AND MISSIONS SHALL BE PERFORMED AS A TAX EXEMPT NON-PROFIT ORGANIZATION OR PRIVATE FOUNDATION OPERATING WITHIN THE UNITED STATES INTERNAL REVENUE CODE 501 © (3) REGULATIONS, ACTIVITY CODE 402, CODE 430, CODE 514 AND OTHER POSSIBLY CLOSELY RELATED OR ASSOCIATED BUT NOT LIMITED TO JUST THESE CODES ACTIVITIES. Sec. 1 THE NORMAL OPERATIONS, BUSINESS AND PROPERTY OF THE CORPORATION SHALL BE MANAGED BY THE BOARD OF DIRECTORS, REQUIRING AT LEAST FOUR DIRECTORS, AND NOT TO EXCEED NINE DIRECTORS TO FORM A FULL BOARD. ALL DIRECTORS SHALL BE ELECTED BY THE MEMBERSHIP. EACH QUALIFIED DIRECTOR SHALL BE A MEMBER OF THIS CORPORATION, HOLDING A MEMBERSHIP CERTIFICATE. Sec. 2 THE CORPORATION PRESIDENT WILL ACT AS CHAIRMAN OF THE BOARD OF DIRECTORS, BUT IF DECLINED, THE MEMBERS OF THE BOARD MAY APPOINT A TEMPORARY CHAIRMAN TO PRESIDE OVER EACH MEETING AND EACH FUNCTION. THE CHAIRMAN SHALL HAVE FULL VOTING POWERS AND RIGHTS AS A MEMBER. DIRECTOR OF THE BOARD, SHALL BE CALLED CHAIRMAN OF THE BOARD AND FURTHER HAVE THE POWER TO REFEREE ANY DISPUTE WITH THE BOARD MEETING AND TO PROCEED ONWARD WITH BOARD BUSINESS AND FUNCTIONS. Sec. 3 THE DIRECTORS ELECTED SHALL SERVE FOR ONE YEAR OR THEREAFTER UNTIL THEIR SUCCESSORS ARE DULY QUALIFIED AND ELECTED. Sec. 4 THE REGULAR ANNUAL MEETING OF THE BOARD OF DIRECTORS SHALL BE HELD PRIOR TO THE ANNUAL MEMBERSHIP MEETING. Sec. 5 A QUORUM FOR THE TRANSACTION OF ANY BUSINESS AT ANY MEETING OF THE BOARD OF DIRECTORS SHALL CONSIST OF AT LEAST SIXTY PERCENT OF THE TOTAL MEMBERS OF THE BOARD; BUT A MAJORITY PRESENT AT ANY MEETING MAY ADJOURN THE MEETING TO A FUTURE TIME AND PLACE WHEN A QUORUM CAN MEET. Sec. 6 SPECIAL MEETINGS OF THE BOARD OF DIRECTORS MAY BE CALLED BY THE PRESIDENT, OR A MAJORITY OF THE BOARD, AT A TIME AND PLACE BY WRITTEN NOTICE AND ITINERARY SEVEN DAYS IN ADVANCE, OR AT ANY IMMEDIATE TIME AND PLACE BY UNANIMOUS CONSENT OF ALL DIRECTORS. Sec. 7 VACANCIES IN THE BOARD OF DIRECTORS MAY BE FILLED FOR THE UNEXPIRED TERM OF THE DIRECTOR, BY A MAJORITY VOTE, FOR A NEW QUALIFIED CANDIDATE, BY THE REMAINING MEMBERS OF THE BOARD. Sec. 8 AT EACH ANNUAL MEETING OF THE DIRECTORS, THE CHARIMAN SHALL PRESENT A STATEMENT OR REPORT OF THE BUSINESS AND OPERATIONS THAT HAVE BEEN ACCOMPLISHED FOR THE YEAR. THE SECRETARY SHALL PRESENT THE MINUTES AND ALL IMPORTANT CORRESPONDENCE. THE TREASURER SHALL GIVE A WRITTEN AND VERBAL REPORT OF THE FINANCIAL CONDITION OF THE CORPORATION. Sec. 1 THE OFFICERS OF THE CORPORATION SHALL BE A PRESIDENT, A VICE PRESIDENT, A SECRETARY, AND A TREASURER. OFFICERS SHALL BE NOMINATED BY THE BOARD OF DIRECTORS AND MEMBERSHIP ELECTED FOR ONE YEAR OR THEREAFTER UNTIL THEIR SUCCESSORS ARE DULY QUALIFIED AND ELECTED. THE SECRETARY AND TREASURER MAY BE HELD BY ONE QUALIFIED PERSON. EACH OFFICER SHALL BE A MEMBER TO QUALIFY FOR ELECTION. Sec. 2 THE PRESIDENT SHALL PRESIDE AT ALL DIRECTORS AND MEMBERSHIP MEETINGS, SHALL HAVE GENERAL ADMINISTRATIVE SUPERVISION OVER THE AFFAIRS OF THE CORPORATION AND OVER THE OFFICERS OF THE CORPORATION. THE PRESIDENT SHALL PERFORM SUCH OTHER DUTIES AS ARE INCIDENT TO THIS OFFICE. Sec. 3 THE VICE PRESIDENT IN THE ABSENCE OR DISABILITY OF THE PRESIDENT, SHALL PERFORM ALL THE ADMINISTRATIVE DUTIES OF THE PRESIDENT AND ALL OTHER DUTIES INCIDENT TO THIS OFFICE. Sec. 4 THE SECRETARY SHALL ISSUE ALL NOTICES OF THE MEETINGS OF THE BOARD OF DIRECTORS AND OF THE MEMBERSHIP, SHALL KEEP THE MINUTES OF THE BOARD AND MEMBERSHIP MEETING, SHALL HAVE CHARGE OF ALL THE CORRESPONDENCE FILES, RECORDS AND PAPERS, SHALL BE CUSTODIAN OF THE CORPORATE SEAL, AND ALL WRITTEN CONTRACTS OF THE CORPORATION. THE SECRETARY SHALL PERFORM THE DUTIES ASSIGNED BY THE PRESIDENT AND ALL OTHER DUTIES THAT ARE INCIDENT TO THE OFFICE. Sec. 5 THE TREASURER SHALL HAVE CUSTODY OF ALL MONEY AND SECURITIES AND ASSETS OF THIS CORPORATION, SHALL KEEP REGULAR BOOKS OF ACCOUNT, VOUCHERS, RECEIPTS, RECORDS AND OTHER PAPERS. THE TREASURER SHALL PAY PROMPTLY ALL EXPENSES AND INVOICED BILLS OF ACCOUNT BY CHECK AND COSIGN WITH THE PRESIDENT ON EACH CHECK. Sec. 1 MEMBERSHIP IS OPEN TO THOSE PERSONS HAVING AND CONTINUING TO HAVE A POSITIVE INTEREST IN THE AIMS, MISSIONS AND PURPOSES OF THIS CORPORATION. Sec. 2 A PERSON, A PROSPECTIVE MEMBER, SHALL BE PRESENTED A COPY OF THE BYLAWS AND SHALL ACKNOWLEDGE BY RECEIPT AS HAVING READ, UNDERSTANDING AND ACCEPTED SUCH BYLAWS, PURPOSES AND MISSIONS THEREIN DESCRIBED BEFORE BEING ISSUED A MEMBERSHIP CERTIFICATE FOR A FEE OF $100. Sec. 3 THE MEMBERSHIP CERTIFICATE SHALL NOT HAVE A MARKET OR TRADE VALUE AND MAY NOT BE SO TRADED, SOLD OR ENCUMBERED. Sec. 4 THE BOARD OF DIRECTORS BY A THREE-FOURTH MAJORITY VOTE MAY RECALL ANY MEMBER CERTIFICATES AND REIMBURSE THE MEMBERSHIP CERTIFICATE FEE PAID BY THE MEMBER, ONLY IF AND WHEN THE MEMBER FAILS TO SUPPORT THE AIMS, MISSION AND PURPOSES OF THIS COMMITTEE AND CORPORATION. THE JUDGEMENT OF THE BOARD OF DIRECTORS SHALL BE FINAL INTHIS MATTER. Sec. 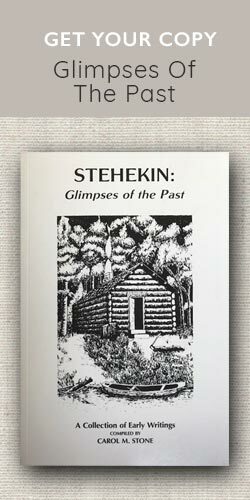 5 A CONTRIBUTING MEMBER SHALL BE ANY PERSON WHO MAKES A DONATION TO STEHEKIN HERITAGE. A CONTRIBUTING MEMBER SHALL NOT BE A VOTING MEMBER. Sec. 1 THE ANNUAL MEETING OF THE MEMBERSHIP SHALL BE HELD IN FEBRUARY OF EACH YEAR AT A TIME AND PLACE CALLED BY THE PRESIDENT. TEN (10) DAYS ADVANCED NOTICE WITH ITINERARY OF THE MEETING IS REQUIRED. AT SUCH MEETING THE MEMBERSHIP MAY ELECT THE QUALIFIED DIRECTORS TO SERVE UNTIL THEIR QUALIFIED SUCCESSORS SHALL BE ELECTED, AND FURTHER AT SUCH MEETING THE MEMBERSHIP MAY ELECT THE OFFICERS ON THE BALLOT, SUCH OFFICERS HAVING BEEN QUALIFIED OR NOMINATED BY THE POWER OF THE BOARD OF DIRECTORS. THE DIRECTOR OR OFFICER CANDIDATE RECEIVING THE MAJORITY VOTE SHALL BE THUS ELECTED FOR THE POSITION OF OFFICE. Sec. 2 AT ANY MEETING A MEMBER MAY SUBMIT A WRITTEN PROXY TO BE HANDED TO THE SECRETARY PRIOR TO THE MEETING OPENING, SUCH PROXY TO BE NOTED IN THE MINUTES OF THE MEETING. Sec. 3 A QUORUM FOR THE TRANSACTION OF REGULAR BUSINESS AT ANY MEMBERSHIP MEETING SHALL CONSIST OF THE MAJORITY OF MEMBERS PRESENT AT THE MEETING. Sec. 1 THE FISCAL YEAR SHALL COINCIDE WITH THE CALENDAR YEAR. Sec. 2 THE FUNDS OF THE CORPORATION SHALL BE PLACED ON DEPOSIT CHECKING ACCOUNT IN SUCH BANK OR SUCH TRUST ACCOUNT AS THE BOARD OF DIRECTORS SHALL DESIGNATE BY RESOLUTION. Sec. 3 ALL ADMINISTRATION EXPENSES SHALL BE PROMPTLY PAID WHEN DUE, BY CHECK SIGNED BY THE TREASURER AND CO-SIGNED BY THE PRESIDENT, THUS INDICATING APPROVAL. A SEPARATE PETTY CASH FUND, NOT TO EXCEED $100.00, MAY BE HELD BY THE REGISTERED AGENT AND ANY OTHER OFFICER SO DESIGNATED BY THE BOARD OF DIRECTORS. THIS FUND WILL BE REIMBURSED BY CHECK WHEN THE EXPENSE RECEIPTS ARE PASSED TO THE TREASURER. Sec. 4 ALL TAX EXEMPT FUNDS AND BEQUESTS TO BE PAID OUT SHALL BE DIRECTED AND AUTHORIZED BY A RESOLUTION PASSED BY THE BOARD OF DIRECTORS, SUCH FUNDS SHALL BE PAID OUT BY CHECK SIGNED BY THE PRESIDENT AND THE TREASURER, BUT NO FUNDS MAY BE RELEASED FOR PAY OUT BY THE TREASURER IF THAT RELEASE WOULD IMPAIR THE CAPITAL OF THE CORPORATION. Sec. 5 THE CORPORATION MAY BORROW FUNDS, WHEN SO AUTHORIZED BY RESOLUTION OF THE BOARD OF DIRECTORS, SUCH BORROWING MAY BE FROM FINANCIAL INSTITUTIONS OR FROM PRIVATE INDIVIDUALS AND PERSONS. Sec. 1 AMENDMENTS TO THESE BYLAWS MAY BE PROPOSED BY A MOTION AND SHALL BE APPROVED BY THE BOARD OF DIRECTORS, A THREE-FOURTH MAJORITY OF THE BOARD WILL CARRY THE MOTION OF AMENDMENT. Sec. 1 CONFORMING TO THE RULES IN ARTICLE IX FUND, MONEY AND OTHER ASSETS IN THE CORPORATION AT THE DATE AND TIME OF THE DISSOLUTION SHALL BE USED FIRST, TO PAY IN FULL ALL BILLS OF LIABILITY, OF EXPENSE AND OF ADMINISTRATION, THEN SECOND, TO PAY OUT EXCLUSIVELY FOR AN EXEMPT ORGANIZATION OR PROGRAM OPERATING FOR CHARITABLE EDUCATION, AND/OR SCIENTIFIC PURPOSE AND AT SUCH TIME SHALL QUALIFY UNDER SECTION 501 © (3) OF THE INTERNAL REVENUE SERVICE CODE OR OF PROVISIONS OF ANY FUTURE LAW OR REGULATION. ANY ASSETS NOT SO DISPOSED OF SHALL THEN BE DISPOSED OF BY THE COURT PLEAS OF CHELAN COUNTY, WASHINGTON. THIS INSTRUMENT, THE BYLAWS OF THE STEHEKIN HERITAGE INCORPORATION, ARE HEREBY RATIFIED AND ADOPTED BY THE UNANIMOUS VOTE OF THE INITIAL BOARD OF DIRECTORS OF THE CORPORATION.